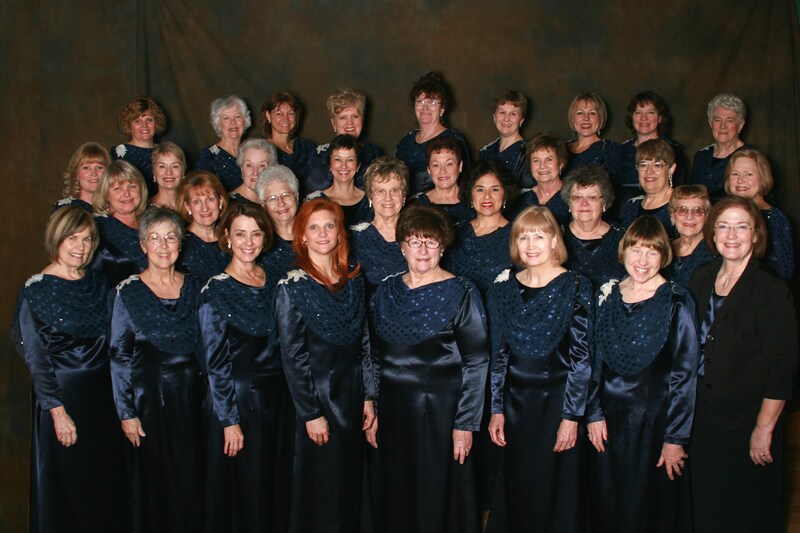 BOISE CHORISTERS, an all-woman choral group, was originally called the Tuesday Musicale Chorus. The group’s history of presenting fine music and providing financial assistance to aspiring musicians has continued throughout the years, under the direction of some of Boise’s finest conductors. The members of the chorus come from all ages and all walks of life. The Choristers are a member of the National Federation of Music Clubs. A non-denominational community women's choral group. WHAT TYPES OF MUSIC DO WE PERFORM? All types! We sing all kinds of music - sacred, classical (some in foreign languages), Broadway, jazz, folk songs, western, and pop. We also love to dress up. Along with our standard costumes, we wear costumes appropriate for our program theme. We even choreograph some dance steps! WHEN AND WHERE ARE PERFORMANCES? We present a holiday concert in December and an annual spring concert in May. We also perform during the Christmas season for holiday parties, community events, retirement centers and nursing homes in the Boise area. In addition we sing at selected special events throughout our calendar year. Boise Choristers is unique! We don't use printed music for our annual spring program - it's all memorized. Our main purpose is to provide scholarships to further music education. We currently sponsor scholarships to deserving music students. We have donated money to Boise State University and high school seniors in the Boise and West Ada School Districts. See donations form for complete details to make contributions to our scholarship fund.